A body believed to be that of an Alzheimer’s patient from Scripps Ranch who disappeared two months ago was found Thursday in the eastern reaches of Marine Corps Air Station Miramar. The Naval Criminal Investigative Service notified the San Diego Police Department of the discovery about 2:30 p.m., SDPD Lt. Mike Holden said. The remains have decomposed too much to allow for a visual identification, but pieces of clothing discovered along with them resemble garments worn by 85-year-old Tai Heng Sun when he went missing June 15, according to Holden. A surveillance camera captured images of Sun walking to the east on Stonebridge Parkway that morning and entering a parking lot at Mission Trails Park. Law enforcement officers, personnel from the nearby Marine Corps base and community volunteers searched extensively but in vain for the Maple Grove Lane resident, whose family reported that he had been depressed of late and had expressed suicidal thoughts. The county Medical Examiner’s Office will conduct forensic testing to determine the identity of the body, Holden said. 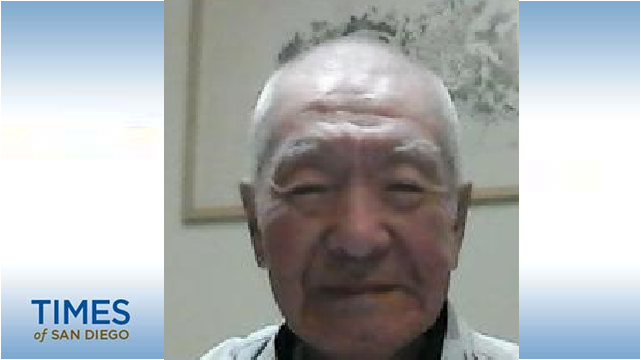 “It is with heavy hearts that we share that police believe they have found Mr. Tai Sun, the 85-year-old man who went missing in June,” according to a statement released by the Scripps Ranch Civic Association.